Christmas is about a BIG GIVEAWAY! God gave away his very best so that others could know Him & have Eternal Life (John 3:16). This year, Bridge Church took on a BIG GIVE in order to help others know God & have eternal Life. We set out to give a stocking to EVERY MULTI-HOUSING RESIDENT in Covington on Christmas Eve! 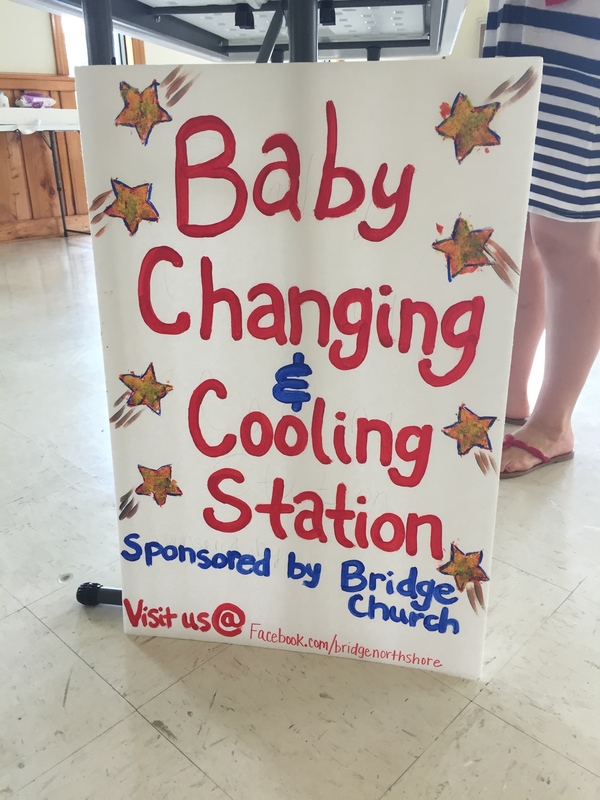 Great project that any church can take on! A copy of The Value of A Soul, this year’s My Hope DVD from the Billy Graham Evangelistic Association. $1 per. Three great testimonies from real people on how life In Christ impacted them. The Living in Christ Book from My Hope with Billy Graham. $1 per. Includes how to begin a relationship with God, 4-part study on beginning the Christian life, & the Gospel of John. Some type of small family game. Like a deck of cards or mini board game or puzzle. $1-$2 at local dollar stores. Fresh fruit purchased at a local fruit stand. $35 per case. A few packs of Hot Chocolate. $.10 each at Sam’s Club. Invite to our church & an area Bible Study. We knocked on each door & said “Merry Christmas from Bridge Church!” & asked if there was anything we could pray for them about. Great conversations. Loved serving with my family & other on mission believers from our church on Christmas Eve. With great participation we were done by noon. We even had some leftovers that we were able to deliver to area Fire Stations. Probably touched over 500 people on Christmas Eve. Hope you’ll pick a multi-housing complex or a neighborhood & tackle a BIG GIVE project next Christmas! Yesterday our church kicked off Advent with a number of simple service projects that any church, small group, family, or individual can afford. These make a big impact with a small investment of time & money. 1. Gift cards for ICU Waiting Rooms. At any given time in your community there are people reeling from traumatic events or devastating illness. Their families can be found in waiting rooms at your local hospital. Pick up a handful of Gift Cards to the closest restaurants & coffee shops, drop by & give them out with a “Praying for You” card from your church. Offer to pray for anyone you get to talk with. Simple act of kindness can breathe life into someone that is overwhelmed with bad news. If no one is there, give them to the nurses desk & they’ll pass them out for you. These nurses could also use prayer & encouragement. Call ahead & find out when visiting times are so that you know when people are in the waiting rooms. $100 for 5-10 gift cards. 2. Care packages for the Homeless. If you live in a metro area or near the interstate, you probably get an invitation to serve the homeless everyday at area red lights. Should I give them money? is a constant question. Few of us carry cash anymore. Doing nothing is not desirous for most believers. How about make up some simple care packages with some goodies that that can be passed out the window of a car. Keep 3-5 in your car at all times. $10 per bag. 3. Christmas Decor for Nursing Home Residents. Go to your local nursing home & ask for a list of residents with no local family. The reality for these residents is often few visits if any, few seasonal decorations for their walls, few convenient items like warm socks or lotion. Offer to pray for them. Find out what they want or need & plan a return visit. Spend some time listening to their story. Yesterday, some of our team got to meet a lady who was 105 years old! Incredible story. $25 for a few Christmas decorations & simple cards colored by kids. 4. Fruit baskets for Elderly shut-ins. Local shut-ins are lonely. They often feel trapped. They often have simple to-do’s around their home that can be taken care of in less than an hour. Making up fruit baskets to deliver to them gives you a reason to encourage them with a visit & find out other needs that your faith community can take care of on their behalf. $25 for a bowl or basket & fruit & other goodies to go int them. All day I’ve been hearing stories from those who delivered these items to people in our community. Simple acts of kindness make a big difference & the holidays offer many opportunities for us to extend kindness & plant seeds in the hearts of people in need. What other similar outreach ideas have you or your church done at Christmas? We often hear laments about churches not being able to “get into the schools.” Most of the time, we’re trying to get in on our terms instead of thinking of ways to be a blessing (see Matthew 5:16, Philippians 2:3-4). We found one way that is enthusiastically accepted 100% of the time at our local schools: stuffing gift baskets full of goodies for teacher’s lounges at the beginning of the school year, holidays, & end of school. Snacks, healthy & not so healthy. Homemade baked goods. Office supplies & teacher gear. And always with a note of encouragement. What are other ways that you or your church have been a blessing to your local schools? WHAT IF every teachers lounge was filled with encouragement from local churches all year long? Connect with local community leaders who are organizing the festival. These people need to know you care. Puts you out where people are already gathering, so part of your work is done. (Three keys to church planting: GATHER, GATHER, GATHER). Demonstrates that you are FOR the community & want to be a part of local culture making. Have a little fun with your team. Go on their terms. Ask what’s needed first. First year, just be a volunteer & get to know the festival. Second or third year, you’ll know better if you can add something unique to what the festival offers. This was the fourth year that our church helped out with the 4th of July Celebration in our area & we were able to offer a new idea based on the needs of our community & dynamics of the festival. Need: There are a ton of families with small children in our community & no changing tables in the festival area. This is true of most festival areas by the way. 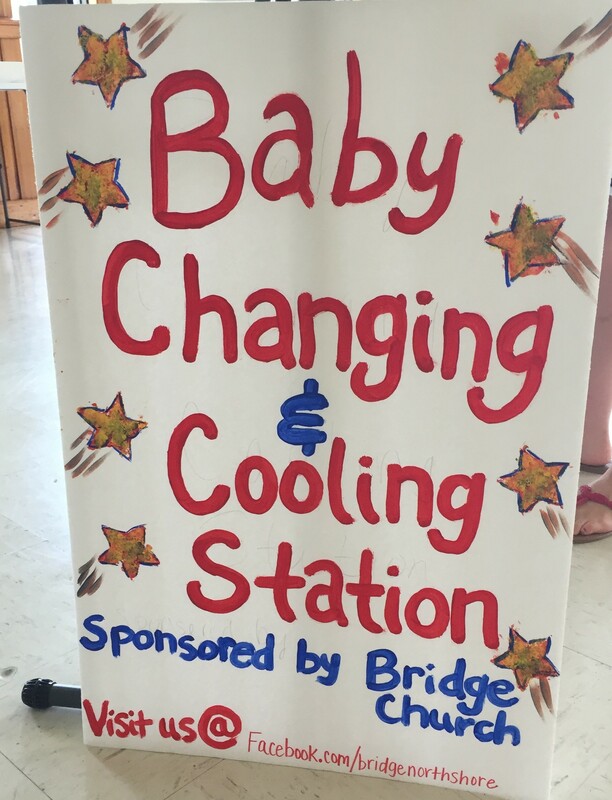 Solution: Baby Changing & Cooling Station. 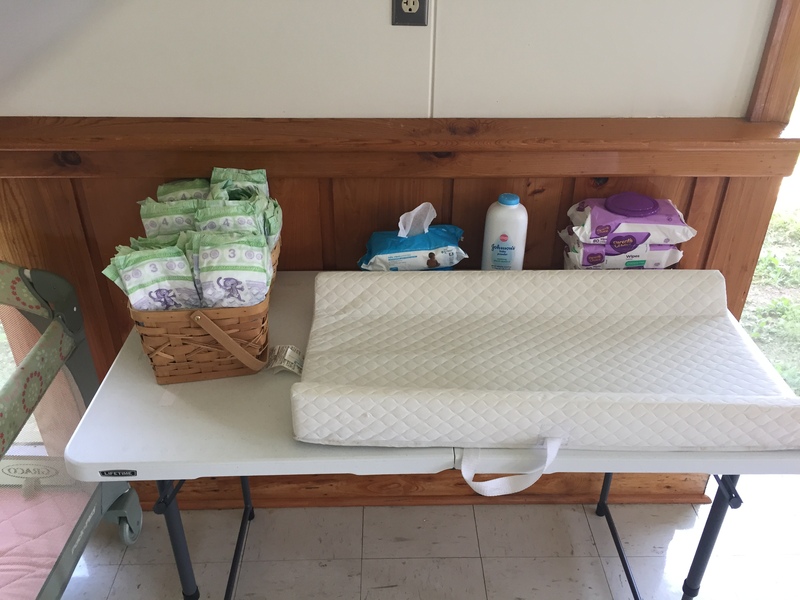 Gear from our Church Nursery, Wipes, Diapers, Juice boxes, snacks, connection cards, newsletter sign up page. Less than $100 to meet a great need & make some great connections. Fill a few ice chest full of ice cold water or gatorade, then head out on Saturday morning & watch for people working in their front yard. Interrupt them by giving them a bottle & a small connection card to your church. I promise they won’t mind. Every Louisiana community has a festival, car show, farmers market or something. Add to the gathering by offering something fun for kids. Face Painting is easy for almost anyone. Poll your team for other talents that might be unique & entertaining. Don’t forget to have invite cards to your church or Bible Study. If you haven’t already, you should get to know the managers at local apartment complexes. They’re often required by upper management to provide events for the park & in my experience they are stressed about that! Offer to help by extending a VBS activity or showing up with a snow cone machine or bounce house. 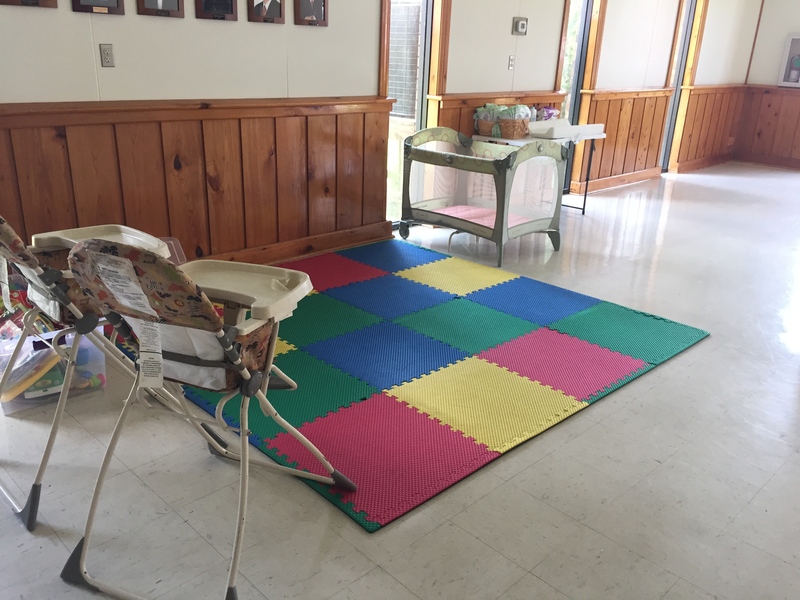 Private daycares are usually very open to engagement with churches. Especially if you offer free snow cones for every child in the afternoon! Snow cone machines rent for $100 or so, check around to see if another local church has one, or if you’re part of a Baptist Association, they probably have a block party trailer equipped with a snow cone machine plus. Ask the daycare if they’ll send home an invite card or event invite from your church in backpacks in return. Pick an area park, backyard, subdivision common space, & a short movie. Outdoor movie screens can be purchased for around $200. Projectors are available from partner churches or your local association. Great men’s group project. Connect with a local trailer park & offer to cut low hanging limbs back away from trailers in the run up to Hurricane season. This is a great service to residents & management that will never be forgotten. Pole saws rent for $125 or so & probably at least one guy in your group has a chainsaw. Turn your church or a local meeting hall into a free cinema for the afternoon. Show a favorite kid movie with popcorn & box drinks. There’s probably a local mom’s facebook group that you can spread the word through. If your church or community has a nice green space, find a local musician or band (no shortage of those in Louisiana) & throw a free sunset concert. Offer free drinks & invite cards to your churches gathering. Got other ideas for summer outreach? Don’t be stingy. Please share. Archer Farms Brand (@Target): Box of cheddar sourdough cheese straws and caramel macadamia popcorn in the big clear container (by chips). I picked these because they look nicer and more gourmet if you will. A nice dish towel/hand towel. You may be able to find some cute Spring ones on sale at Hobby Lobby right now. I got a neutral color from Target for a few bucks. Every multi-housing complex had a partnering church to welcome new residents. We noticed & took responsibility for new movers into our neighborhoods & cultivated relationships during this important season in their lives. You equipped a team in your church to wow new residents with a nice basket of goodies for their new home. God moved someone into your community & your kindness led them to open their heart & eyes to God’s purpose for the first time. What else would you include? Does your church do anything like this? 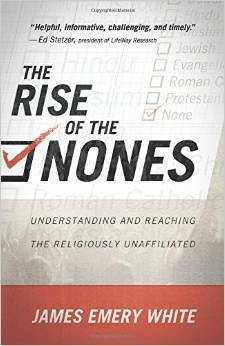 Recently read a great book called The Rise of the Nones by James Emery White. It’s about the fastest growing religious affiliation in the U.S., which is the NON-affiliated. In St. Tammany Parish, where I live, best research shows that we have 116,000+ in that number (http://ow.ly/Ll3D0) or about 50% of our population. And in Louisiana, best research indicates that at least 1.8 million people are in that number. Hostile – openly antagonistic toward the nones who venture in. Indifferent – not hostile, but apathetic and unwilling to answer the nones’ questions. Hopeful – want to see the nones reached for Christ, but unwilling to change their environment to do so. Sensitive – want to reach the nones for Christ, willing to change their environment, but still primarily catering to the already convinced. Targeted – high priority placed on the needs of the nones and make every effort to remove all barriers that made impede their exploring life in Christ. No Man’s Land – not being targeted enough to reach the unchurched, but being too targeted to the unchurched for the churched. Where would you say your church is on this list? How many none’s do you know? What do you think it would take for a church to reach them? Big outreach events are fun & can be fruitful, but can also leave people & the church budget exhausted. Our church examined the fruitfulness of outreach & saw that more people had connected to Christ & our church through relationships & neighborhood events (block parties, small groups, neighborhood BBQ’s, etc. ), than our big, expensive Spring Easter Egg Hunt. Doesn’t mean we should never do it again. Even if it seems unfruitful, seeds were sown & relationships cultivated. You never fail when you reach out in the name of Christ. But we wondered if we could put our money into Spring Outreach that had proven the most fruitful in our context & could give incentive for us evangelicals to actually get to know our neighbors. So our teams came up with the Neighborhood Outreach Basket. 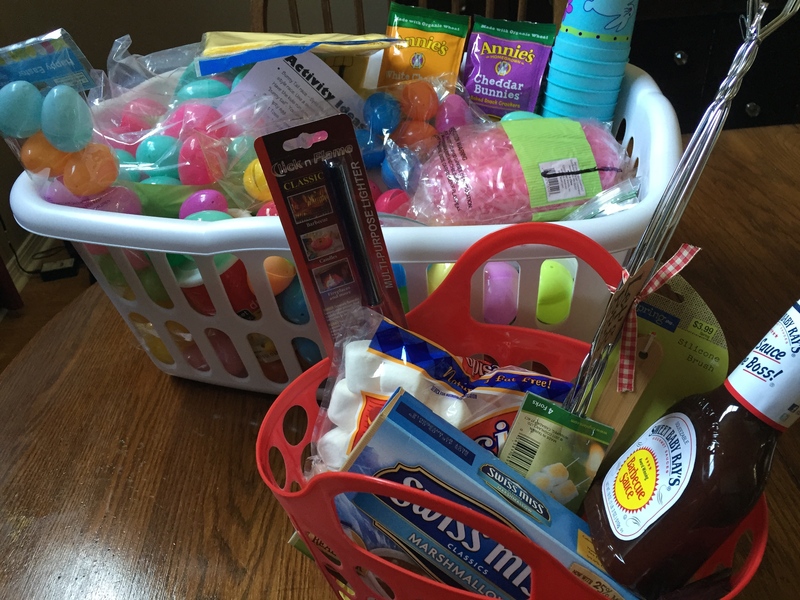 This Spring they provided two: Neighborhood Easter Egg Hunt basket & the Neighborhood BBQ basket. Basically, a starter kit for a party! And maybe your church can do both! Whatever it is, do something to gather people & cultivate relationships toward the Gospel. For more info on throwing a block party check out my post Why Block Parties? 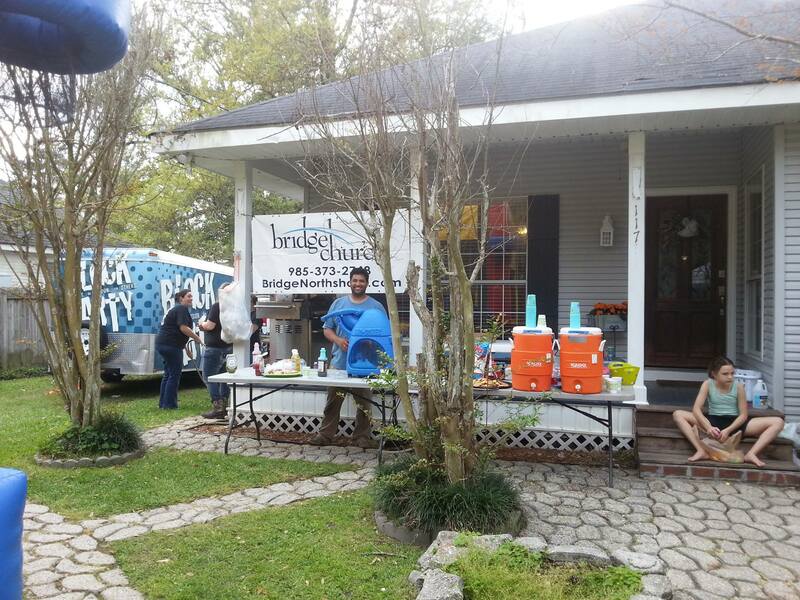 And check out the Bridge Church Block Party Manual. For more info on Creative Outreach Check out my post Proven Ways to Plant Seeds & Cultivate Relationships. 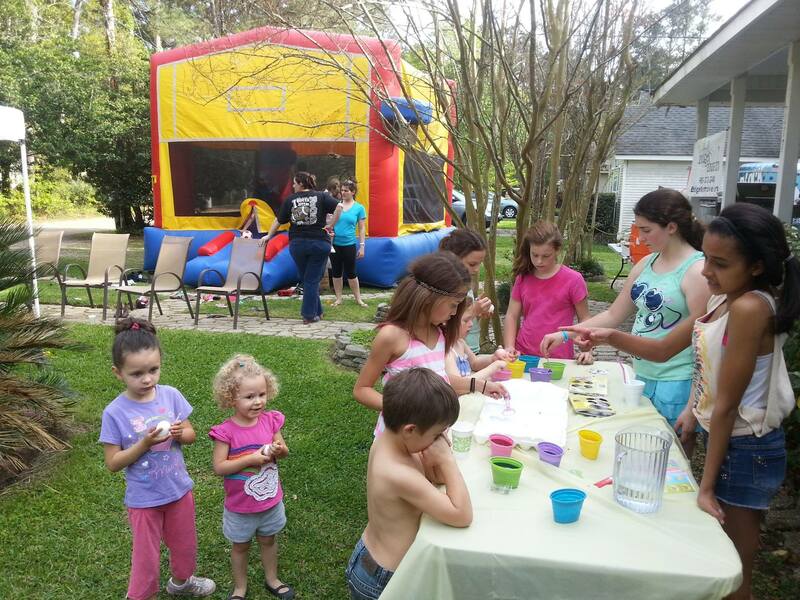 Update: Here’s a couple of pics from a recent Neighborhood Easter Egg Hunt in St. Tammany Parish. When starting a new church or wanting to impact a community for Christ through evangelism, scattering seeds should be one of your primary missions. On Church Planter reports we ask for the # of contacts made each month. No coincidence that often the church plant with the most salvations and baptisms is also the one with the most contacts made in the community over the course of a year. That’s not always the case at first, because some communities will take more of the spiritual work of cultivating the ground through prayer and serving before seeds can be planted and harvest gathered. But if a church planter aggressively devises a strategy of seed scattering and planting, eventually a harvest can be expected (Psalm 126:6). What is scattering seed for a church planter? Seed scattering is any activity that intersects believers &/or the gospel with the lives of people in the community. The more directly evangelistic the better. But considering that it probably takes 20 touches for someone to become a Christian, plan for activity that cultivates, plants, and draws the harvest. “Don’t judge each day by the harvest you reap but by the seeds that you plant.” Great reminder for the church planter or leader who is trying to get momentum behind the effort to reach their community for Christ. Our failure is often a failure of ideas & imagination when it comes to outreach, so I’m sharing some practical ways that I’ve seen work in Louisiana in hopes that your church will increase the number of seeds that it scatters across your community. The first 5 I shared last week HERE. 6. Radio Spots – Average commute times in Louisiana are from 15 to 40 minutes. For most of those, the radio will be on for at least some of that time. Many radio stations offer some type of free bulletin board for community events, so if you doing something worth inviting the community to, give them a call. And radio ads can be surprisingly affordable with local stations. It’s a great way to support the local Christian radio station, but don’t just do Christian radio. On second thought, send a check to Christian radio & run your ads on the local secular stations. 7. Door Hangers – Door to door is still a great way to spread info & plant seeds. And studies in Louisiana have shown that a majority of people are open to door to door visits from churches. We’ve found a printer in our area that will print ready to hang door hangers for us. We’ve also ordered clear bags to put info in for hanging on doors, which makes them a little more weather proof. Works best for the time commitment in densely populated areas. Rules of thumb: Beware of dogs. Don’t be a jerk & ignore posted subdivision loitering rules. Expect at least one call from somebody that says, “HEY, DON’T EVER COME ON MY PROPERTY AGAIN OR I’LL @&%$#?…” Shake your head & move on. There’s always one. 8. T-shirts – Well-designed, eye-catching T-shirts can create more conversation than most other forms of advertising. Nothing else I can do in outreach gets more people to come up to me & say “Do you go to that church?” – “Is that church around here?” – “That looks like an interesting church” – “Where is your church?” Make T-shirts that people will want to wear & give them away if you can. And don’t forget to train people on what to say WHEN, not if, they are ask about your church when wearing a T-shirt. 9. Service Projects – Finding a need & meeting it has ripple effect potential for your ministry. You find someone that needs help & serve them, that’s a great kingdom contact in & of itself. And a kingdom win, is a win period. You also have to get others involved in using their gifts & abilities for ministry which helps them grow their kingdom eyes. Our church has used Wheelchair ramp building in this way. When you get a good service project you can also increase the ripple by inviting the community to join in. We’ve even ran radio spots (see above) about upcoming projects inviting others to contribute & participate. Continue the ripple by posting pics on Facebook, sharing the story with a follow-up video, etc. 10. Block Parties – A great way to gather people, cultivate relationships, plant seeds, & share the gospel is to throw a party. Mix free food, loud music, & an inflatable or two & you can be about meeting new people in almost any neighborhood in Louisiana. Another popular variation of an outreach friendly Block Party would be an Outdoor Movie Night in a city park, subdivision common space, or backyard. Also, you can use holiday’s, big national sporting events, & birthday parties to throw a party, invite everyone you know, & find ways to cultivate relationships & move them closer to experiencing the gospel of Jesus Christ. Check out this post on Why Block Parties & the How to Manual for Block Parties that our church put together. What are other ways that you’ve cultivated relationships & planted seeds in your community?